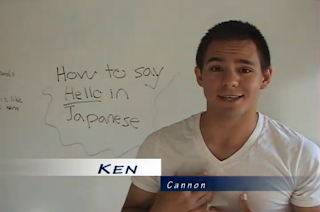 Hello is one of the first things you say to a new person, so to help you make a great first impression here's how to say hello in Japanese! 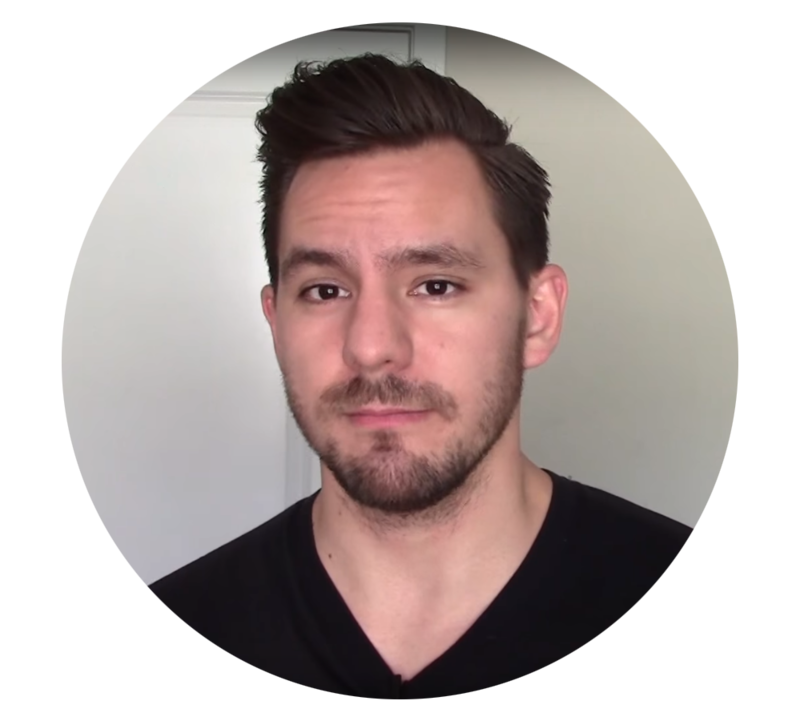 To learn more Japanese greetings head over to my newsletter for new weekly videos! Hey this is Ken Cannon and welcome to my first video in like 12 years, sorry to keep you waiting, but I've really had a lot of good excuses. Some I'm even pretty proud of; it took me a while to come up with them too. But to spare to guys the shame of a chronic procrastinator I’ll just jump into today's lesson. Today I’m gonna be talking about, how to say hello in Japanese. one, what kind of teacher teaches how to swear before he teaches how to say hello. And two, since when did he get so damn boring? Ok, well the reason I’m teaching you this now is that in anime, drama, or manga, which is what I focus this channel towards, they don’t really greet each other all that much. In fact greetings are boring, which is why everybody knows that cussing is much more useful. Ok I’m kidding, but today what I want to teach is 10 different ways to say hello. Now this is the term you use from 11 to about 6, so you could equate it to the English good afternoon. Here it is, I know you’ve been waiting for it, this is what you use anywhere from 6 to… well, bed time, or well, whenever the naked girl in the cake goes home. This one is a bit formal, so like "gozaimasu" youd use it when you want to impress someone. When you might use this is when your like going over to meet a girl's parents or something. This one is a lot closer to the actually English “hello,” since this is strictly used on the phone! Now the legend goes that this phrase was developed by the Japanese to keep foxes from calling them, because as everybody knows, foxes can’t say moshi moshi. I mean come on. Ok im a liar, yoroshiku doesn’t mean hello, it actually means something like “give me your best regards” which is so much simpler.. This one is used for more tough guys, kinda like an english "yo." It’s also used a lot by guys who do judo and stuff. Apparently this came from people saying, ohaiyogozaimasu really fast. And then it just got shortened. But now it's used for anytime of the day among other equally tough guys. Picture of Sakura, and chikan. This also has several little variations: ussu, wiiss. But all mean the same and just said for cool purposes. This can also mean thank you, and yes it’s the domo from Domo Arigato Mr. Robato. But you can also use this as a greeting, it definetly has an air of formality. I probably wouldn’t use this with my friend, but it’s not as stuffy as adding gozaimasu or onegaishimasu. So I suppose formality wise it fits in about here…. This is for the cool guys, definitely wouldn’t use this with your teacher. So basically it works just like the English "yo," with a bit more of a drawn out tone. "Yo" is also a sentence ender particle, meaning you can stick it at the end of a sentence to make a verbal exclaimation point. Alright! That was it for the top ten ways to say hello in Japanese, as always thanks for all your support and you can also go over to Japanese Through Anime, there should be a link in the down bar for a bunch more greeting and hello related words.